It is shaping up to be a lazy Sunday afternoon. The kids have a long holiday weekend, but I have to work tomorrow. There is always laundry to be done and my bedroom needs some shaping up. I plan to wander up to the third floor and get to work in my studio eventually. I do think I will do some reading today. There is rain on the horizon so it’s perfect weather to curl up with a book. 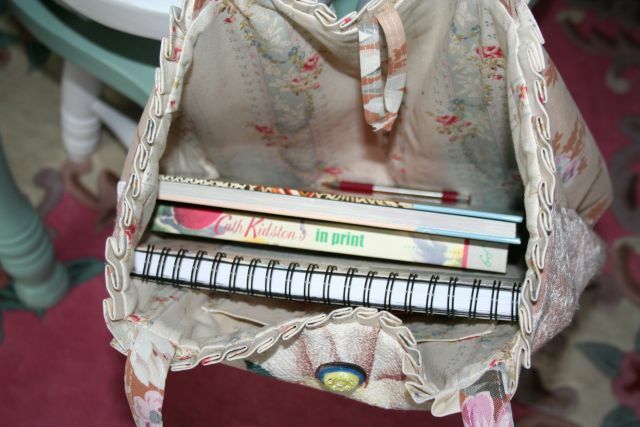 Here is what’s in my book bag today. This one always gets me playing around with beads and buttons. 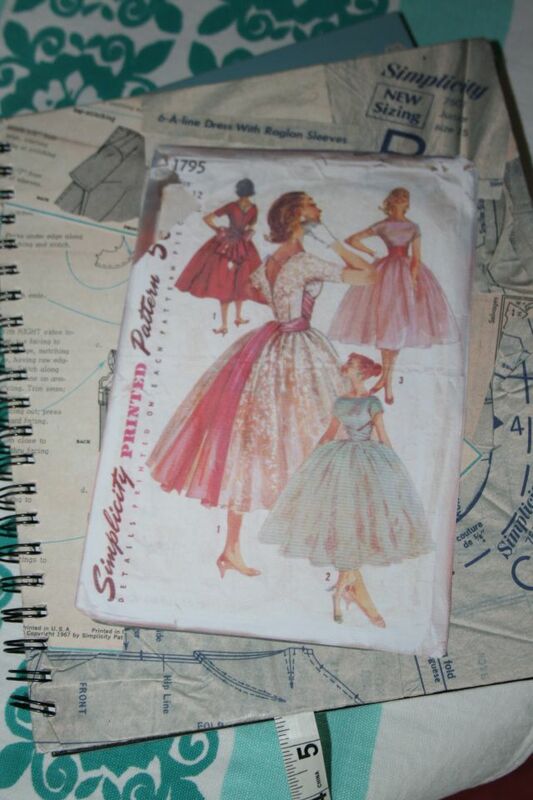 My sketchbook that my sister made for me. I’m really dying for spring to get here. 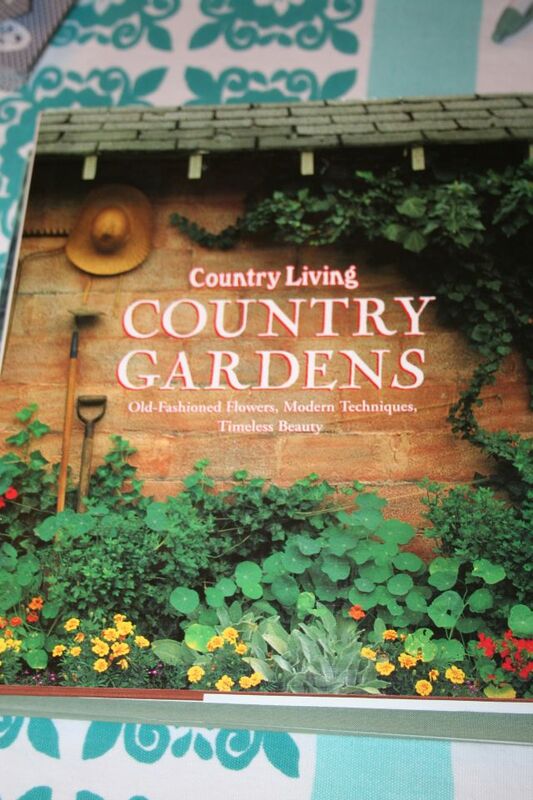 My gardening books help brighten up the winter months. I never get tired at looking at Martha’s garden at Turkey Hill. 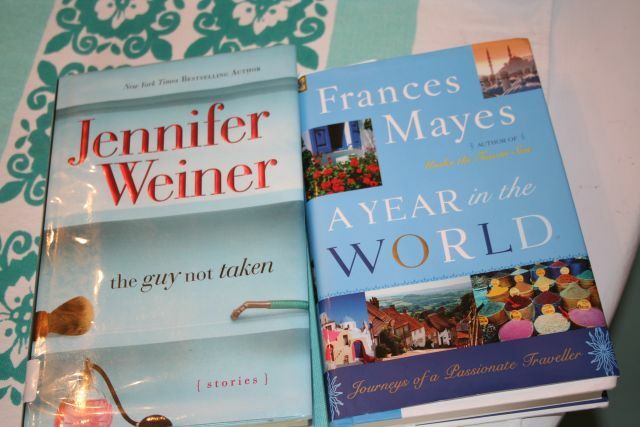 I enjoy Jennifer Weiner’s books for light reading and I love everything Frances Mayes writes. I’m very excited about this upcoming week. Thursday begins the Mid Atlantic Quilt Festival right here in Hampton at the convention center. I don’t attend any of the many classes, I just go for the shopping! All the quilts are the originals from their books, Glorious Patchwork, Passionate Patchwork, and Museum Quilts from the Victoria and Albert. I will be going on Friday and probably back on Sunday too. I wish my mom and my sister could come with me! I wish I could go see the Kaffe Fassett exhibit! I have his quilt books, which inspire me no end. 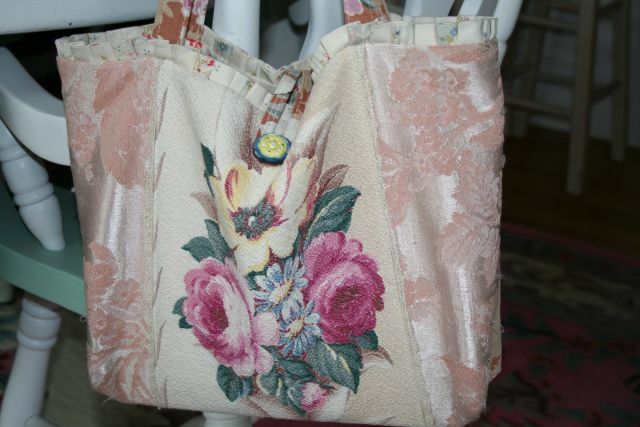 I love your book bag, so pretty! 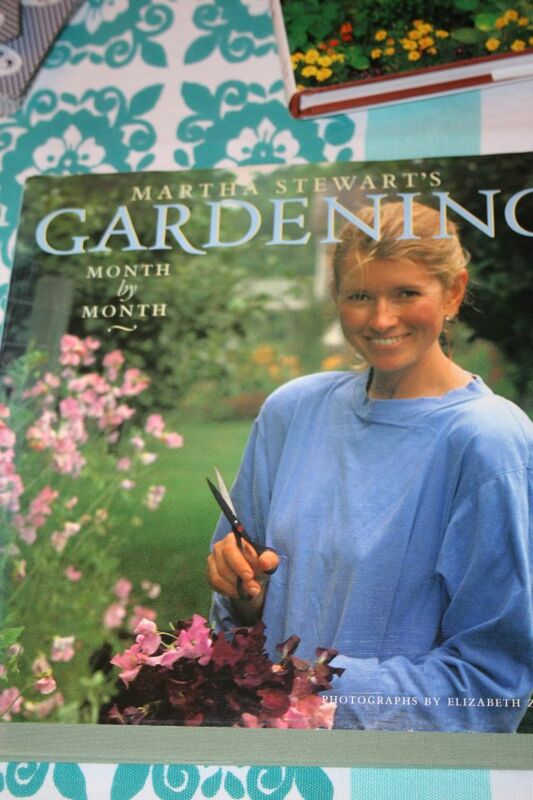 I also have the Martha Stewart Gardening book. And I agree, I never get tired of looking at her photos! 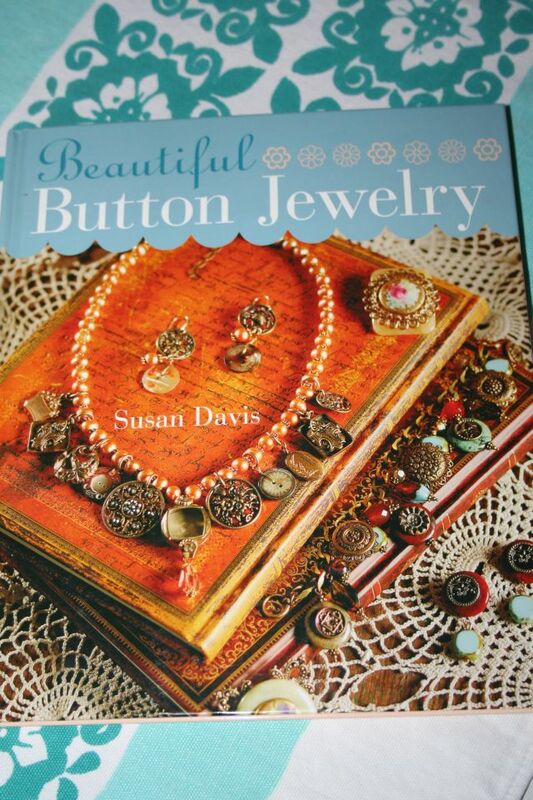 I’ve never seen the button jewerly book…looks interesting!